Above: Wingfield Castle moored outside the Hartlepool Museum on May 9th, 2009. 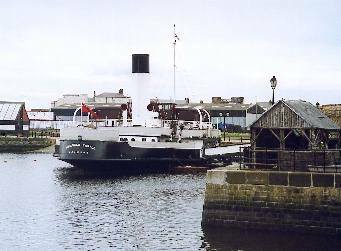 There is no dedicated museum to paddle steamers in the UK and only Wingfield castle remains as purely a museum exhibit. She is attached to the excellent municipal museum at Hartlepool, in the north east of England. Hartlepool's importance dates back to the industrial revolution when she became an important port for exporting coal mined in the county of Durham. Hartlepool also became an important shipbuilding centre. 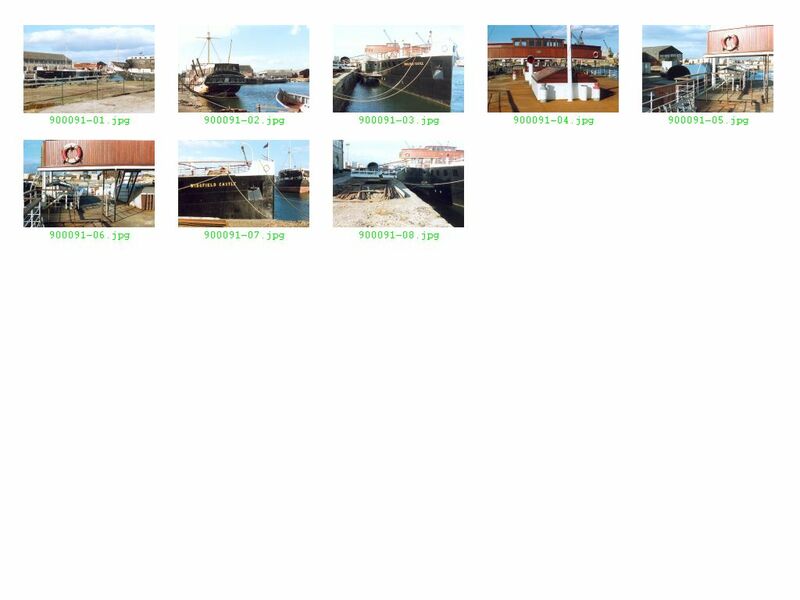 Whilst docks do remain, the shipbuilding yards have now closed. However, the museum and a separate visitor attraction based around a recreated naval dockside have been built alongside the yard of Wm Gray and Sons. 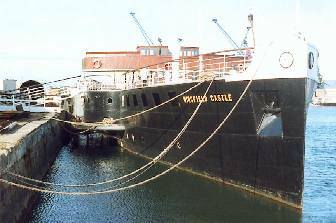 Wingfield Castle will be confined to Hartlepool Marina for the rest of her life it would seem. The lock (rebuilt in 1991 after she arrived) is now too small for her to pass through. 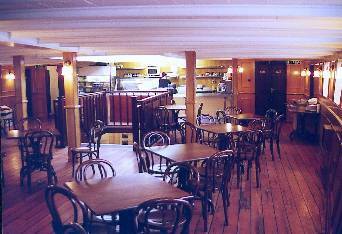 Wingfield Castle, as well as being a fine exhibit to scramble around with some audio presentations to explain the operation of the engines and the history of the ship, operates as the museum's cafeteria. The latest refurbishment has introduced changes which detract from her historical authenticity to comply with modern accessibility standards. The fore and aft lower saloons are now accessible by lift and locked companionways protected by combination-coded doors. These rooms are now hired out for local groups to use. 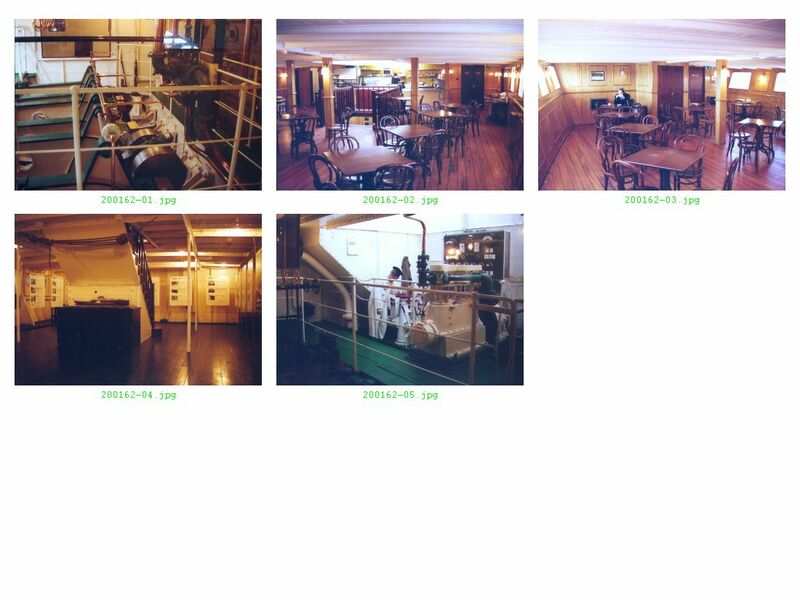 The fore saloon companionway, previously in the middle of the cafeteria has been boarded over as part of these changes. The ship has none of the comfort found in her refurbished sister Tattershall Castle or her recently lost younger cousin Lincoln Castle, both which were adapted for the leisure industry in London and Grimsby respectively. Ironically, it was Lincoln Castle, scrapped in 2010, which was probably the most authentic of the preserved ships rather than the "museum" ship. 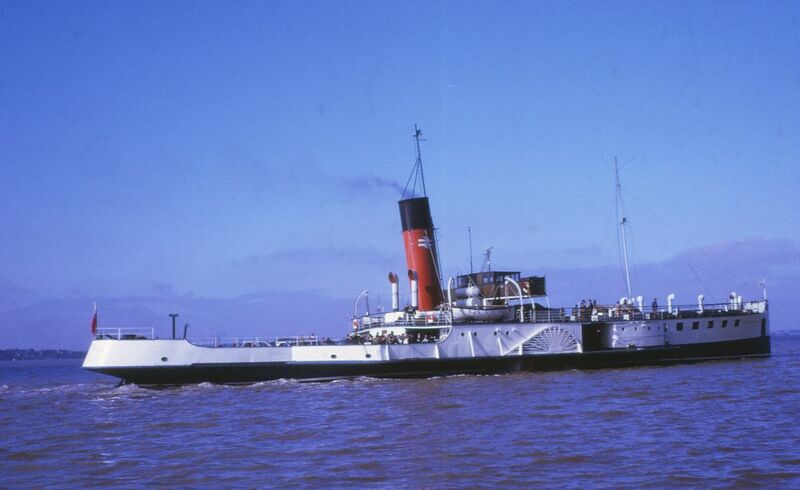 Wingfield Castle in service in 1971 in a photo kindly supplied by Jake Dale.